Variety's claim that Batman v Superman's success is devastating to critics is wrong. Batman v Superman’s Success Isn’t “Devastating” to Critics. That’s Not How Criticism Works. That’s not rain—that’s the tears of critics. It looks like I owe A.O. Scott an apology. In my review of the New York Times film critic’s new book Better Living Through Criticism, I suggested that however eloquent his defense of our shared profession might be, criticism itself really “needs no defending.” Laypeople only grumble about it when they disagree with a critic’s take on a particular movie, TV show, book, or other work of art. The very fact that they want to quarrel with us proves that they think critics matter. But maybe I was wrong. Criticism does need defending against inane articles like Variety’s response to Batman v Superman’s monster weekend box office, headlined “Do Critics Matter at the Box Office?” According to the author of this piece, Brent Lang, the record-breaking $424.1 million global gross earned by this latest DC comics franchise offering constitutes a “devastating rebuke to the power of mainstream American critics at a time when many newspapers have already outsourced their reviews to wire services and the rise of bloggers has de-professionalized the practice of assessing a film’s attributes and demerits.” That’s because “mainstream critics”—Scott is named, as are Joe Morgenstern of the Wall Street Journal and Joshua Rothkopf of Time Out—have heaped scorn upon Batman v Superman, branding the blockbuster with a dismal 29 percent rating on Rotten Tomatoes. Lang also quotes Jeff Goldstein, an exec at Batman v Superman studio Warner Bros., remarking on “a real disconnect with what some critics wrote and how the fans are enjoying the film.” But that’s studio puffery. Of course some fans enjoyed the film. But in fact the average Rotten Tomato audience rating for Batman v Superman has been decreasing since it was released, and the site is fizzing with well-articulated takedowns written by people not employed by glossy magazines or major metropolitan dailies. Each of those disgruntled moviegoers bought a ticket, and paid exactly as much for it as any Kool-Aid-quaffing DC disciple. Variety treats every dollar they spent on Batman v Superman as an endorsement. But all these box office numbers demonstrate is that audiences are willing to take a chance on well-marketed franchise movies that critics deplore — and given how far in advance tickets for blockbusters go on sale, a good chunk of Batman v Superman’s weekend gross came from filmgoers who hadn’t read any reviews at all. But the dumbest aspect the Variety piece is its insistence on treating the success of Batman v Superman as a “devastating” rout for the critics who hated it. “Instead of serving as box office kryptonite,” Lang writes, reviewers were forced to watch “helplessly” as the ticket sales racked up. 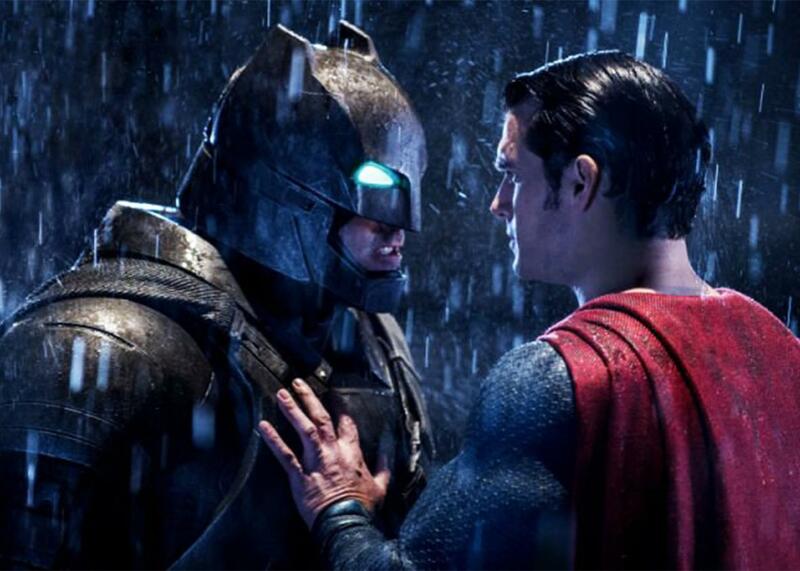 Critics wanted to “kill” Batman v Superman, he believes. And the critics, those elitist would-be supervillains, were thwarted! Not so fast. I’ve never met a critic who wanted to “kill” any work, or who truly expected their harsh review to significantly impact the success of a mass-market product like Batman v Superman. We know the limits of our power, which is modest indeed. Sometimes, of course, critics hate a chart-topper, but the negative reviews we write in response are meant as a cry in the wilderness, an attempt to speak for and draw together all the far-flung dissenters and grapple with a work whose overwhelming success we hope to understand. Because here’s the thing: Every critic knows that the person most eager to read your take is the person who’s already seen the film, watched the TV series, read the book. They come to you not for consumer advice, but for company and (to use Scott’s favorite metaphor) conversation. They want to compare notes. They hope you can explain why they found the work so profound or so stylish or so ridiculous. Sure, sometimes we critics try to drum up enthusiasm for an overlooked jewel, but it’s much harder to interest readers when they haven’t already invested time in the work. It does seem odd that a hard-headed trade publication like Variety should choose to focus on the tiny cloud of gnat-like critics buzzing around the behemoth that is Batman v Superman. Why should Hollywood care, if critics are so irrelevant to a movie’s commercial success? Why this apparently overwhelming, unquenchable urge to argue that box office receipts prove the irrelevance and impotence of criticism? Could it be that the movie business feels defensive, maybe even ashamed, of peddling so much profitable dreck, and—whatever the numbers may say—a critic’s reproaches still have the power to sting? (They sure seemed to sting poor Ben Affleck.) All this talk of wire services and de-professionalizing bloggers sounds ever so menacing, but shift the angle just a bit and it starts to resemble a schoolyard retort prompted by hurt feelings. So, A.O. Scott, I’ll give you this: Against the stupidity of criticism’s detractors, even the gods contend in vain. But the fact that they go on trying tells me we’re still in the game.